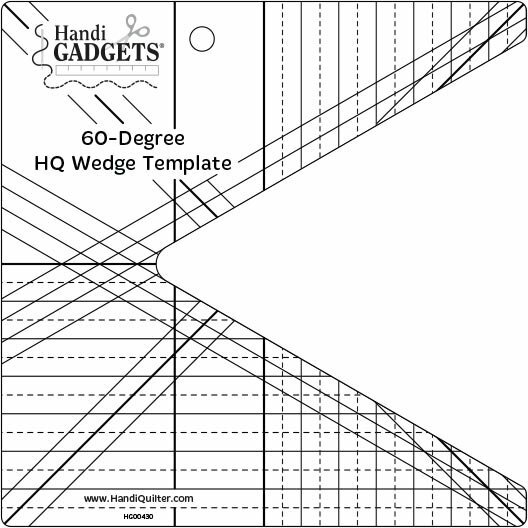 The 60° HQ Wedge Template was featured for the second part of our "Ruler of the Month Club". This product is great for diamond, chevron, and straight edge quilting designs. Dimensions: 8 x 9.25 x .5 in.